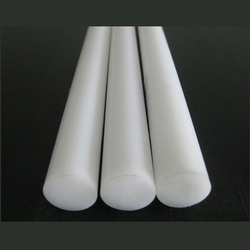 We are a leading Manufacturer of pom rod from Mumbai, India. With the firm responsibility towards quality, we have had the capacity to import POM Rod. Utilizing cutting edge devices and progressed innovation, owing to which these rod shows the low coefficient of contact, safety against decently acidic results and superb wear safety. Additionally, well-known for their attributes like great crawl low bending under mechanical burdens and great wear safety. Looking for POM Rod ?